Richard Prince, a controversial American painter and photographer, is best known for his tongue-in-cheek appropriation works containing rephotographed and cropped popular advertisements. Prince’s initial goal was to emphasize the powerful impact of mass media imagery in shaping contemporary consumer culture, but eventually, he ended up creating his very own pop style and powerful series of works which became some of the most wanted materials at many prestigious auctions. An avid collector of art, books, manuscripts, and various odd objects, Prince has gained the reputation of the chronicler of his generation. I don’t see any difference now between what I collect and what I make. It’s become the same. What I’m collecting will, a lot of times, end up in my work, said Prince on his collecting processes. 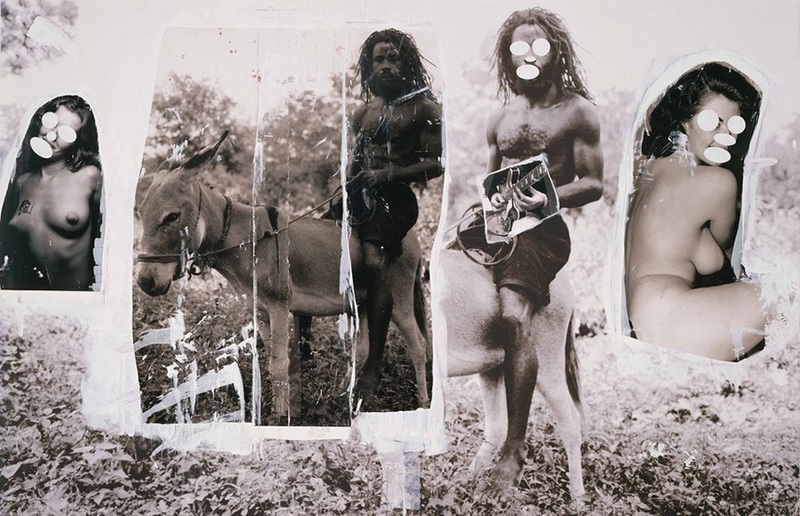 Richard Prince was born in the late 40s in the Panama Canal Zone, which is nowadays a part of the Republic of Panama. Ever since his early childhood Prince has moved lots – from the Panama Canal he moved all the way up, to a suburb of Boston. When it comes to his education, he attended Nasson College in Maine, but he describes his school in a rather vague way as if it was without any real structure. Eventually, Prince has moved from Maine to New York City, in order to join a publishing company called Time Inc. His job at Time Inc. was to supply the company with various tear sheets of articles for magazines. Around the time he started working for this company, Prince started to show more and more interest for visual arts and particularly painting. He felt drawn to the work of the eminent abstract expressionist Jackson Pollock. I was very attracted to the idea of someone who was fairly antisocial, kind of a loner, said Prince on Pollock’s personality. Over time, Prince has developed his artistic style based on the use appropriated imagery – particularly humorous cartoons and mismatched jokes. He copied such imagery onto large-scale, monochrome canvases. 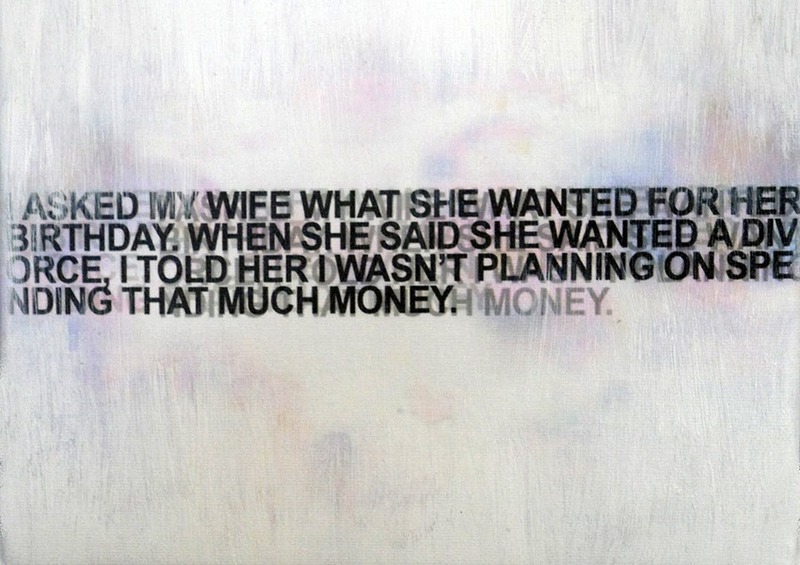 These works evolved to eventually include text-based elements that he manipulated in a painterly manner. Prince has worked in a variety of media, including drawing, painting, sculpture, installation, film, video, and photography, but he is also a writer of poetry and fiction. Some of his most famous artworks are his Nurse Paintings, inspired by pulp romance novels. One of these paintings was featured on Sonic Youth’s album Sonic Nurse and it influenced even the world of fashion, namely Marc Jacobs’s Spring 2008 collection for Louis Vuitton. Prince’s rephotography uses appropriation as its own goal – the artist simply needed the works of others in order to choose a departure point for his own art. In fact, the appropriation wasn’t anything entirely new or shocking around the time Prince started using it. 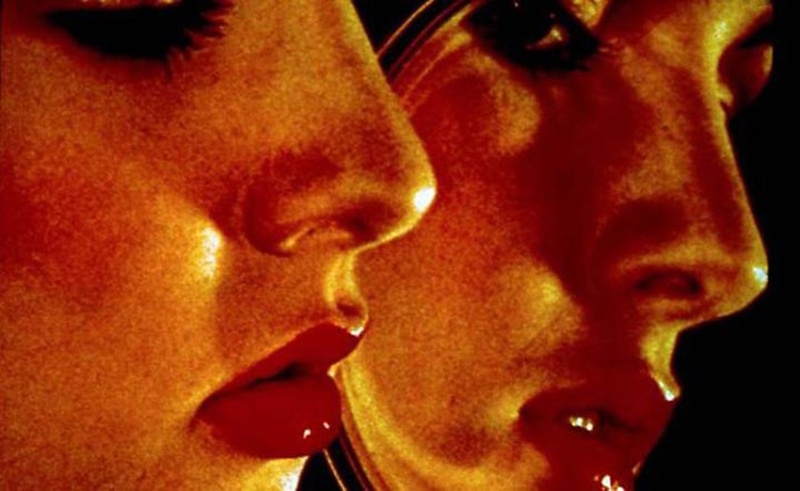 It was already popularized practice thanks to the great artists such as Cindy Sherman and Barbara Kruger. Prince had very little practical experience when it comes to photography and he wasn’t overly interested in any technical details. 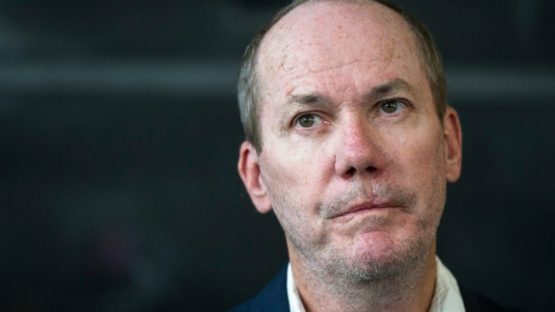 He said in a couple of interviews that he just needed a subject to depict and the choice of medium would naturally come up. It is not surprising that Prince had to face a lawsuit at some point, having in mind the blurred lines between appropriation and stealing. In 2008, photographer Patrick Cariou decided to file a lawsuit against Prince and Gagosian Gallery for copyright infringement issues related to the Canal Zone exhibit at the Gagosian gallery. Prince has appropriated 35 photographs of Cariou and he barely changed anything in them. Furthermore, he made 28 paintings based on the images of Rastafarians from Cariou’s Yes Rasta book. In 2011, US district ruled against Prince and Gagosian Gallery. However, in 2013, the US Court of Appeals managed to reverse the previous ruling and prove that Prince’s used Cariou’s photographs in a transformative way, hence the use was deemed fair. Five of Prince’s works, which were obviously less transformative, were sent back for further review. In 2014, Cariou and Prince have finally announced that they had settled this case. Prince’s legendary series known as Cowboys was initially created from 1980 to 1992 and it is the artist’s best-known group of rephotographs. These pieces are based on the Marlboro cigarette advertisements and the Marlboro Man, who was the symbol of American masculinity. The Cowboys portray men in typical American outfits, such as boots and hats, together with horses, and lassos. The imagery is set in the Western part of the United States, known for its arid and stony landscapes with desert flora, such as cacti and tumbleweeds. The Marlboro advertisements were perfectly executed, with an extreme attention to detail, which was one of the reasons Prince was impressed by them. His other photo series from the same period, called Gangs and Girlfriends, are quite similar to Cowboys when it comes to their aesthetics. Prince used images from various motorcycle magazines and he was particularly fond of motorcyclists’ girlfriends, seductively posing on their boyfriends’ bikes. In June 1980, around the time Prince published his Cowboys, he also had his first solo exhibition. It took place at the CEPA gallery in Buffalo, New York, and Prince’s book called Menthol Pictures was published as a part of his residency at the CEPA gallery. 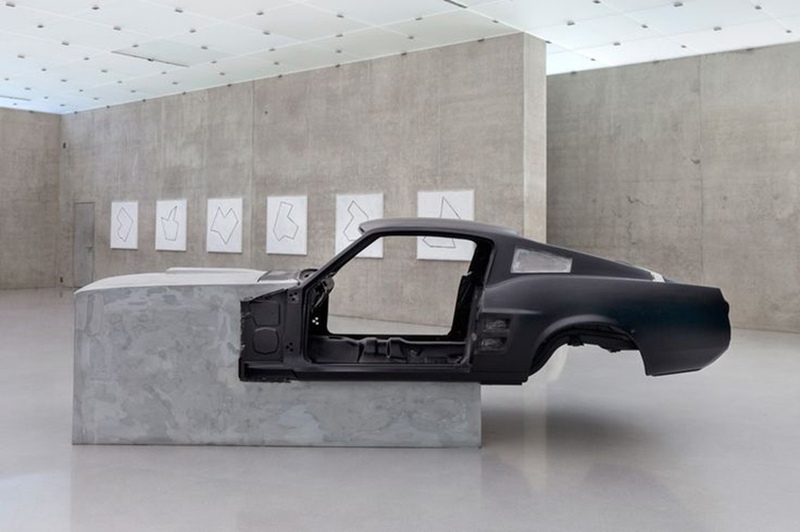 Just a year later, Prince had his first West Coast solo exhibition at Jancar/Kuhlenschmidt Gallery in Los Angeles, while in 1985, he spent four months in Venice, Los Angeles, where he dedicated himself to a couple of new projects. Prince’s Jokes come in a few different forms. His first Jokes were quite simple pieces, hand written, taken from various joke books. However, these initial jokes became more complex, substantial artworks once the artist started to combine them with suitable imagery. In fact, his main goal was to pair jokes with pictures that had no visible connection and in such way create obscure and peculiar relations. In the 80s and 90s, this particular style of combining short sentences and imagery was becoming increasingly popular and Barbara Kruger was the most famous artists who used this style. When it comes to Prince’s jokes, they are mainly satirical one-liners, commenting on the topics such as religion, the marital relationships as well as his own experiences with women. The Nurse Paintings is another Prince’s series that has reached an international fame and glory. These pieces are inspired by the covers of inexpensive novels called pulp romance novels. These novels were usually sold at newspaper stands and they were ridiculed for their tacky, overly sentimental plots, aimed at housewives. Prince came to a brilliant idea to scan the covers of these novels and then use inkjet printing to transfer the pictures to canvas. After the process was completed, he would stylize the pieces with acrylic paints. These artworks debuted in 2003, at Barbara Gladstone Gallery in New York. Initially, these pieces have received mixed responses, but his Overseas Nurse from 2002 became a record-breaker when it got sold for $8,452,000 at Sotheby’s in London. Titles of Prince’s pieces from this series include Surfer Nurse, Naughty Nurse, Millionaire Nurse, Dude Ranch Nurse and so forth. 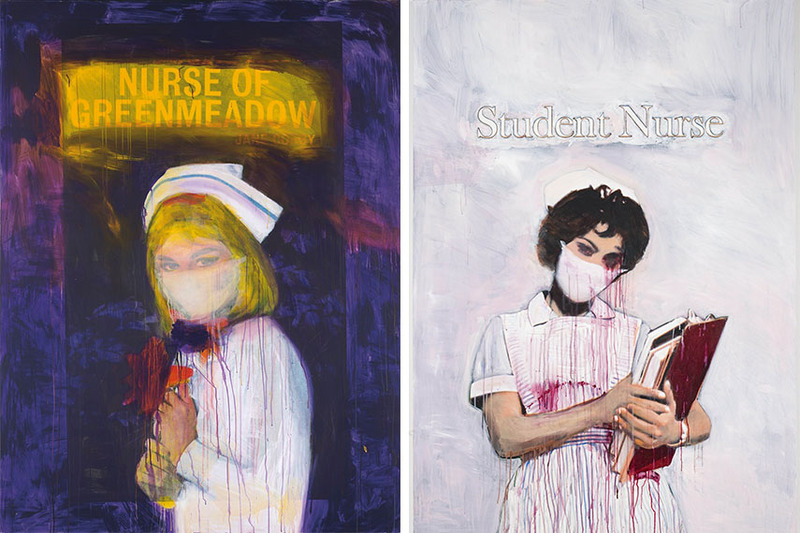 Inspired by Prince’s work, one of Sonic Youth’s albums has a Nurse Painting for its cover. The nurses all wear typical caps and their mouths are covered by simple surgical masks. The final images preserve the original title of the novel and the picture of a woman from the book cover, while everything else is obscured or transformed into a neutral background. 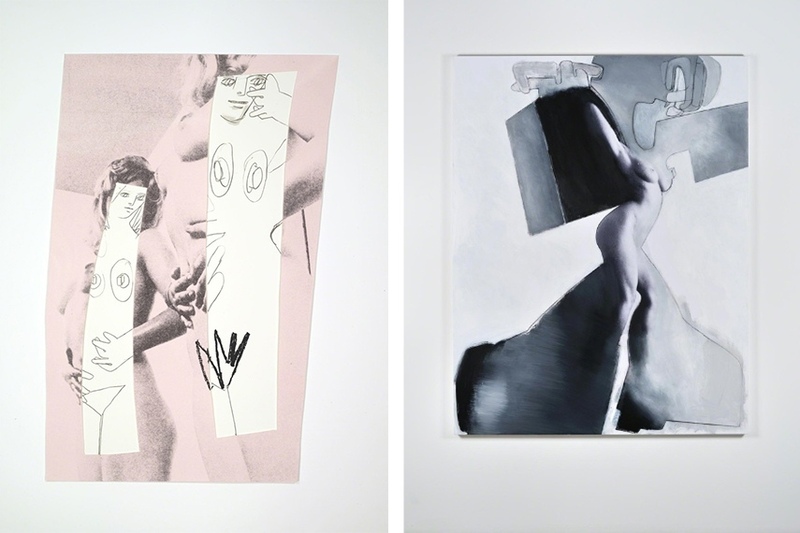 It is important to mention that Richard Prince used the technique of modern rephotography and he also showed his capability to combine digital and analog media. The application of an analog medium, which is acrylic, to a digitized print, which is ink jet, forms a unique bridge between traditional and modern artistic processes. Prince’s later paintings produced around 2007 belong to more traditional styles of figurative art. They represent a clear departure from the kitschy appearance of his earlier poster alike creations. Prince’s newest pieces, from 2013 to 2015, are pornographic ink-jet prints overlaid with acrylic paint in a particular style that is close to the work of Willem de Kooning. In these new pieces, Prince experiments with the distortion of human faces, hands and feet. Contrary to the obvious linguistic context of the Jokes, these new works represent a purely visual message. When it comes to Prince’s history of exhibitions, it is quite long and successful. 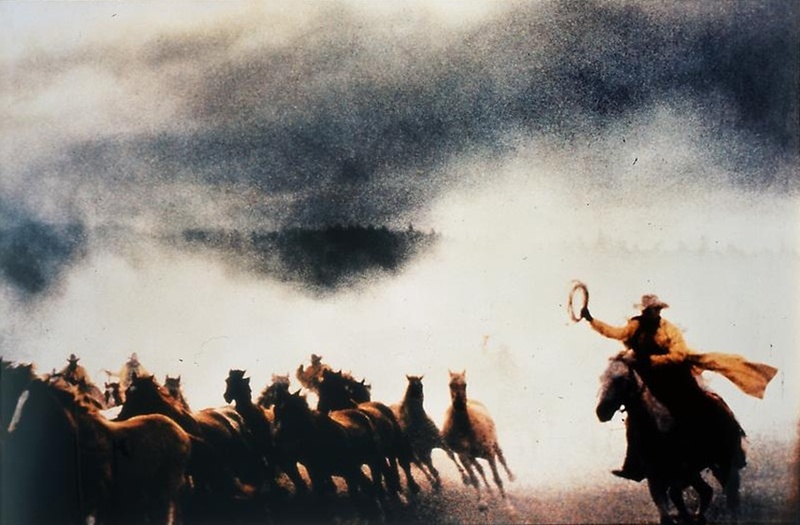 Talking about his major shows held after 2000, a grand retrospective called Richard Prince: Spiritual America was mounted in 2007 by the Solomon R. Guggenheim Museum in New York. The artist is still very active exhibitor – in 2015 and 2014 he had ten solo shows held in New York, France, the UK, and Japan. Making art has never been a mystery to me. It’s never been something that’s very difficult, claims Prince. Even though his words might seem ironic to some, based on the fact that majority of his work is based on appropriation, it still goes without saying that Richard Price has managed to redefine the concepts of ownership and authorship through his bold and provocative art. The artist’s turbulent yet incredibly prolific career is also a perfect confirmation of Picasso’s idea that good artists borrow, but great artists steal. The artist is represented by Gagosian Park & 75th New York, Gagosian West 24th, Gagosian Beverly Hills, Gagosian Brittania Street and Gagosian West 21st. Richard Prince lives and works in New York, NY.